Good interview – interesting how the modern era is so hard to write in comparison. I’ll be sure to pick up a copy. Also, instead of keeping track of all the novel’s components in an excel spreadsheet, ESJM could use a program like Scrivener, which makes rearranging the structure of a novel and seeing it all at once very easy. I agree with My god. Good interview. I loved this novel completely. I admit I am getting weary of reading reviews of it but I read them all because of how much I loved the book. And I cannot wait until next week when the NBA winners are announced because I have been reading ESJM since your first novel, in order, and have reviewed all of them in various places. Now I have to check out Scrivener because I am intrigued by your use of Excel in putting a novel together but I purely hate Excel. It defies me. Best wishes to ESJM. Off to check out Claire! 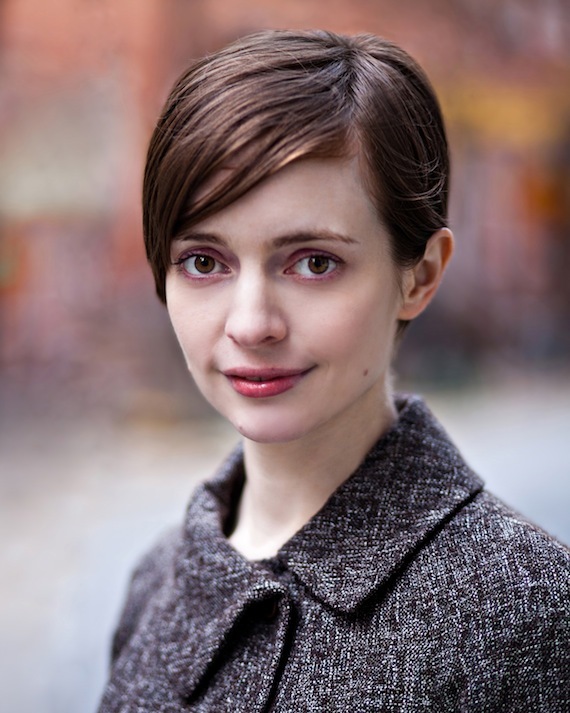 Ms. Mandel has a wonderfully distinctive “voice” in her Millions writing and in this interview. 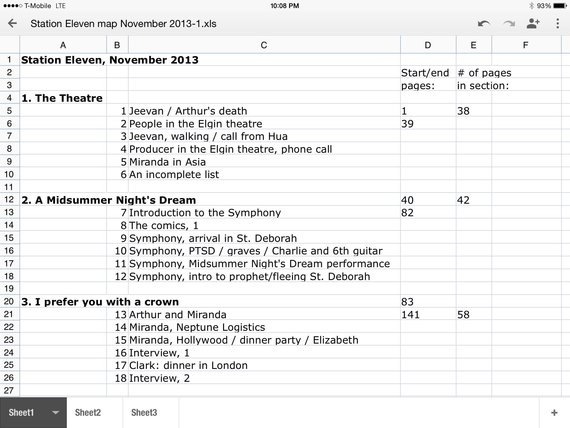 Great to have a small glimpse of her writing process thanks to the spreadsheet screenshot! Brought to mind William Faulkner’s wall outline.